Pipis Head To Auckland Folk Festival. 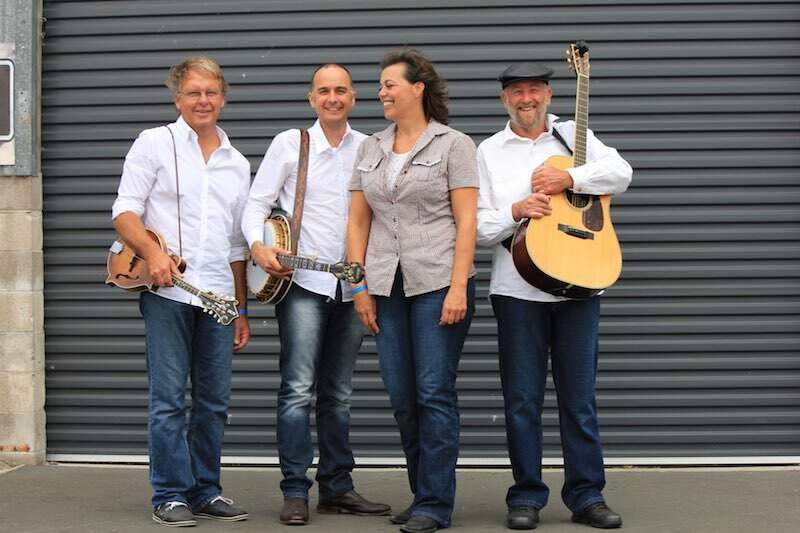 The Pipi Pickers have announced that they will be heading to the Auckland Anniversary Weekend at the Auckland Folk Festival in Kumeu. The Pipis will be there with their notorious Pipi Pickin’ Parlour. All are welcome for a pick or just to chill out with the super friendly bunch of pickers. As always, they will be at the Leigh and Matakana markets on a regular basis. Check their website if you’re going to be in the area. Elsewhere the Pipis will be playing 24-25 February 2017 at Aongatete Folk Festival. Tauranga/Katikati. This is yet another first time festival for the Pipi Pickers. The Pipi Pickers have two more performances in New Zealand and one festival in Australia left for this year. November 15th: Thirsty Dog Folk Club on K’Road. Club starts at 3pm with guests on for the second half about 4:30pm. 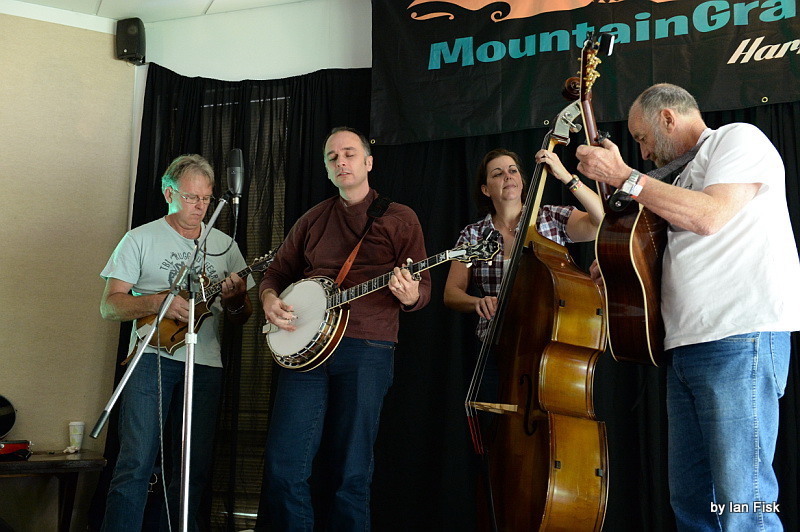 November 20-22: MountainGrass Bluegrass Festival in Victoria, Australia. This is the third year of the revamped Harrietville Festival, now called MountainGrass, and Laurie Lewis and her band from the USA are headlining. November 29th: The Pipi Pickers be back at their local, the Leigh Sawmill Café to finish out the year with a bang. Come for the beer, stay for the bluegrass. Wirrina Bluegrass & Acoustic Roots festival organisers are getting ready for another fine September weekend in South Australia. There are some changes this year, with a new venue and different stage & program arrangement. This years overseas guest artists the Pipi Pickers, who are based in Auckland and are making their first visit to South Australia. 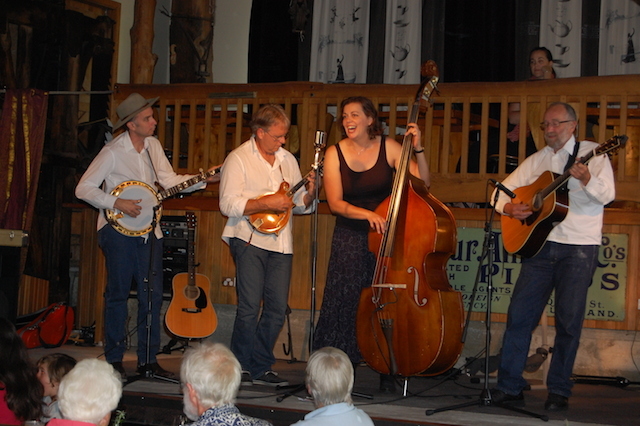 The Pipi Pickers are Nat Torkington on banjo, Barry Torkington on guitar, Jenine Abarbanel on bass, Garry Bigwood on mandolin. Date: September 4th-6th – first weekend in September. Tickets: Available now at www.wirrinabluegrass.com with a discount for booking online. This year’s festival also features a lineup of local acoustic bands, some new to the festival and some old favourites returning. Bluegrass, Old Timey and all sorts of other traditional acoustic styles. More guest artists from interstate – watch the website for updates on our other guest bands. Workshops in the Woolshed. More information coming over the next month or so … we have some great workshops on offer. Thinking of volunteering? We could really use a few more volunteers this year – there are lots of tasks to keep the festival running. Please email us if you’re willing to help in return for your ticket! If you’re camping or bringing a caravan/motorhome/trailer, please support the Wirrina Cove Holiday Park and stay on site. They are offering special rates for holders of festival tickets, valid for the festival weekend. If you want to extend your stay, they are open all year round as a great get-away-from-it-all regular caravan park. Contact Ben or Holly at the caravan park on (08) 8598 3125. They also have great cabins on site but these book out early. If you like something a little more luxurious, and would like to stay off-site and come daily for the festival activities, please contact the Yankalilla Visitor Information Centre on 08 8558 0240 and they will advise you on local accommodation options including motels and B&Bs. 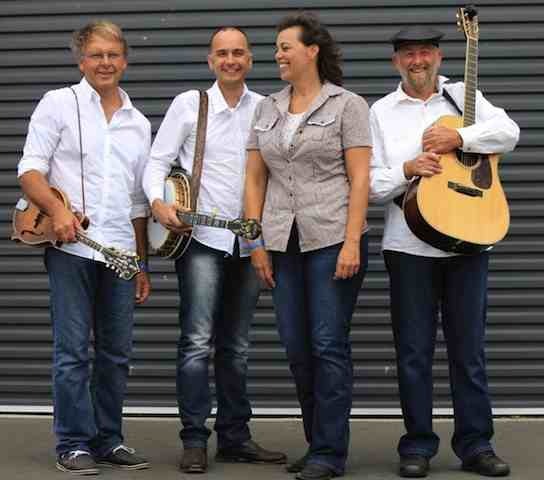 The Strzelecki Stringbusters will be hosting New Zealand’s premier bluegrass band, The Pipi Pickers, at the Yinnar Community Hotel on Wednesday 1st May this year. The Pipi Pickers are in Australia for their third tour in as many years. They are renowned for their tight vocal harmonies and impressive instrumental skills, and are Festival favourites in New Zealand. The Pipe Pickers are the latest in a continuing roster of high-end national & international acoustic roots acts to perform at Yinnar as guests of The Stringbusters, where the motto for performers is: ‘arrive as a guest, leave as a friend’. Show starts at 8pm. Tickets are $10 at the door, dinner bookings essential on 5163 1263. For further details, contact John Werner on 0400 964 941.